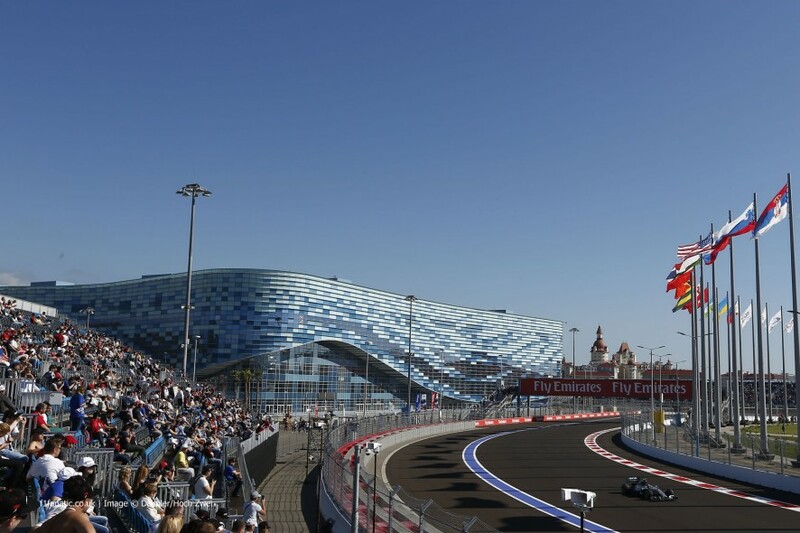 The first ever Russian Grand Prix weekend got under-way today with the two Friday practice sessions. The two Mercedes drivers once again were on top, with Rosberg fastest in the first session and Hamilton fastest in the second. After the tragedy of 5 days ago, the mood in the F1 paddock was a mix of deflated and angry; juxtaposed with the excitement of racing on a new track. Marussia confirmed before practice that they would only run one car, Max Chilton, out of respect for Jules. Instead, the #17 Marussia will sit, race ready, in the garage all weekend. 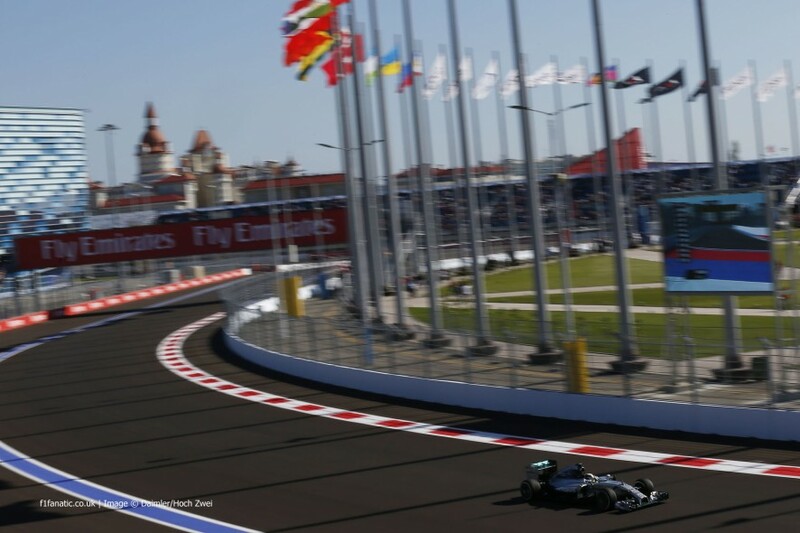 Nico Rosberg was the first man to complete a timed lap of the Sochi Autodrom. Despite having a brief off-track excursion on his first lap, he would end the session 6 hundredths of a second ahead of team-mate Lewis Hamilton; who struggled throughout the session with lock-ups and small vibrations. Jenson Button had shown impressive pace during the Japanese Grand Prix and it seemed as though the pace had transferred to Russia. The Briton was 3rd fastest having spent the first half of the session as the fastest driver. He ended the 90 minutes just 2 tenths down on Rosberg. His team-mate Magnussen underlined the McLaren’s pace in 5th, with potential 2015 McLaren driver Fernando Alonso sandwiched between them in his Ferrari. Sergio Perez ended the session 6th fastest for Force India ahead of home hero Daniil Kvyat. Kimi Raikkonen was 8th for Ferrari ahead of the 2nd Toro Rosso of Jean-Eric Vergne. Valtteri Bottas completed the top 10 after his session ended early following a tyre blanket failure burned into his tyres. The two Red Bull cars were outside of the top 10 and were seemingly struggling on the new track. Ricciardo finished the session 12th, 1.5 seconds down on Rosberg, with Vettel 2.1 seconds down in 15th place; only half a second faster than Sergey Sirotkin who made his first F1 weekend appearance for Sauber. Sirotkin wasn’t the only driver making a practice appearance, as Roberto Merhi for the 2nd race weekend in a row for Caterham. He ended the session faster than the sister car of Marcus Ericsson and the sole Marussia of Max Chilton. Lewis Hamilton was far ahead in the second practice session as he held a 8 tenth lead over 2nd placed Kevin Magnussen; the Dane proving that McLaren can be considered as a force to be reckoned with this weekend. Fernando Alonso was also on the pace for Ferrari and was only 1 hundredth slower than Magnussen. Nico Rosberg was only 4th fastest and was unable to join his team-mate in being the only person to lap the circuit in under 100 seconds. Rosberg lost out on his fastest lap by going wide. Williams improved their pace for the second practice session, with Bottas getting 5th and Massa 7th. McLaren’s Jenson Button took 6th fastest. Daniil Kvyat made it into the top 10 once again in 8th, with team-mate Vergne joining him in 10th. Sebastian Vettel’s pace quickened slightly, but only enough to put the reigning champion in 9th. Vettel’s team-mate Ricciardo suffered an early exit from the session after his Red Bull ground to a halt. He would end the session 13th fastest and over 2 seconds slower than Hamilton’s fastest time. The session was red flagged as a result.